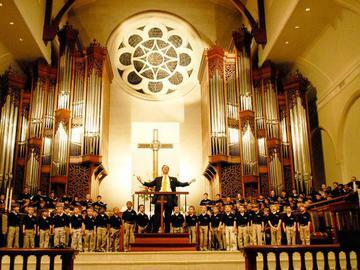 The grand finale of the two-day Georgia Boy Choir Festival will feature all five choirs of the Georgia Boy Choir, along with the Boy Choirs from around the country. The evening will conclude with selections featuring the combined choirs and all festival participants conducted by Artistic Director and Conductor, David R. White and Associate Conductor, Scott Atchison. Enjoy this performance from a previous Georgia Boy Choir Festival!